In this episode, Breja and Jen catch you up on what their Witch Doctors have been doing, take a look back into how Diablo used to be and how it changed over time, and get into a discussion about huge guilds in World of Warcraft (that has some relevance to not only Diablo III, but also real life). Oh, and somewhere in there…. is a quick way to explode a Treasure Goblin. * We read and responded to tweets from: @Algaron87, @TheWMWorkshop, @eG_acefisher1, @4daHorde2, and @thealenationer. Thanks for all the Tweets, everybody! * We read and responded to a thought provoking comment that YepX left on Shattered Soulstone episode 118. 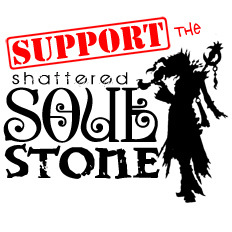 * You can send your thoughts, questions, comments, and stories about what you have been up to in Diablo III to show@shatteredsoulstone.com. We will be happy to read it and share our thoughts about it in our next episode. Season 6 isn’t as fresh and new as it used to be. As such, there wasn’t a ton of news to report (this time). * Community Manager Nevalistis posted “Diablo Then & Now – Item Comparison Evolution” on battle.net. It gives players a look back at how we used to compare one item to another – and shows how that changed (and improved) over time. * Reddit Diablo has a Forum post titled: “Diablo 3 Expansion 2 versus Diablo 4 / New Diablo Game – Full Summary”. It’s an interesting, speculative, post about what the future of the Diablo series could be. * TataSinke featured Shattered Soulstone episode 118 in his New Tristram News (May 9, 2016 edition). Thanks, TataSinke!